What did you get your Mom for Mother’s Day? A cake, a bouquet of flowers, or the latest brand of cell phones? Or did you treat your mom to a sumptuous meal in her favorite restaurant. When I was young, it was my mother who treats us during Mother’s Day. She would cook Pansit Miki or spaghetti and banana cake for the occasion (and for other special family gatherings that require her cooking expertise). Saute garlic and onion, add in diced tofu. Add ½ cup water and seasoning (salt, pepper), bring to a boil. Add in carrots, miki noodles and chopped cabbage. Stir. Simmer for a few minutes and serve. You can add strips of chicken or diced pork or shrimp. You can pair pansit with fried fish, chicken or pork dish. 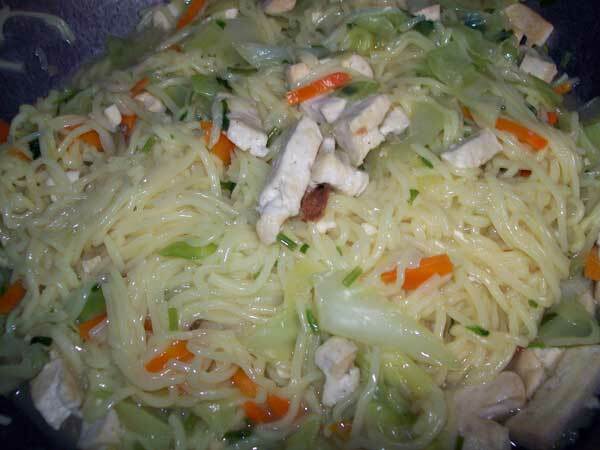 This entry was posted in All Year Round Food, Comfort Food, Occasion and tagged mother's day, pansit miki, pansit miki guisado, pansit miki recipe on May 13, 2018 by Yami.